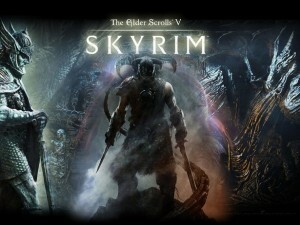 Many users on the PS3 and XBOX 360 in particular have been waiting for the new patch to come out for Elder Scrolls Skyrim. There have been plenty of bugs that have ruined the gaming experience for them. Many users have also experienced Elder Scrolls Skyrim Crashing, Freezing, Graphical Glitches, Errors, etc. too. Finally they have released a time table for when the Skyrim Patch 1.2 will come out for PC, Xbox 360, and PS3. Bethesda’s Nick Breckon posted on the games forum and stated the following. This entry was posted	on Sunday, November 20th, 2011 at 3:02 PM	and is filed under Games. You can follow any responses to this entry through the RSS 2.0 feed. You can leave a response, or trackback from your own site. I really hope they fix the issues with AMD video cards, I had a long e-mail conversation with Bethesda and provided them all the system info they needed to look into it! i play skyrim on ps3 en it freezes somtimes during loads and saves, its realy anoying and i hope the patch is gonne fix this otherwise bye bye skyrim! That’s weird. I wonder if it’s related to an item or something on the map. Starting over after 30 hours would be awful for sure.